1920 Census 1920 Marion, Marion Co., OH, USA, age 39, production dept. clerk, Steam Shovel Co.
Maria Anna Utermoehlin married Albert James Houghton, son of Edward Payson Houghton and Jeanette Drew, in 1907 at Las Vegas, NV, USA, age 33 and 26; her 2nd mar. Edward Payson Houghton married Margaret Telleen. Emma (?) married Hiram Cain in circa 1915 age 26 and 20. Hiram Cain married Emma (?) in circa 1915 age 26 and 20. Paul Dane Houghton married Kathryn Raymond in Aug, 1948. Blanche (?) married Park Eugene Houghton, son of Eugene Houghton and Alice Young, in circa 1927 age 36 and 20. John Herman Houghton married Alice V. Hakala. Herman J. Wildenhaus married Audrey Long in circa 1926 age 34 and 21. Curtis A. Consino married Naomi Houghton, daughter of George A. Houghton and Bertie (? ), in circa 1925 age 24 and 18. Lucy Evelyn Conine married Clair Wesley Houghton, son of Oliver Perry Houghton and Effie May Shondel, in circa 1919 age 21 and 20. 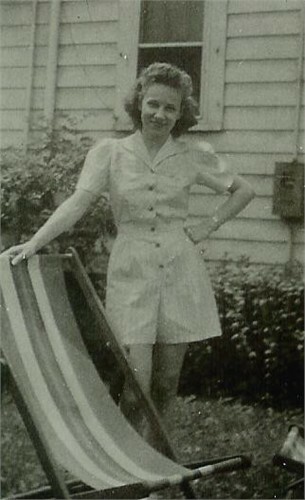 Betty J. Houghton married Bill Miller. Betty J. Houghton married Charles Souder. 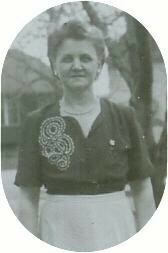 Lois Ann Houghton married Owen Shirk. Della M. (?) married Charles Fremont Houghton, son of Luther Wallace Houghton and Abbie Jane Lyon, age 30 and 22. Edward C. Ramette married Beatrice Mildred Houghton, daughter of Roland Elmer Houghton and May A. Hill, in circa 1928 age 20 and 36. Corinne (?) married Carl P. Houghton, son of Benjamin Franklin Houghton and Kinzie Catherine Pfeffer, in circa 1922 age 19 and 19. Lulu (?) married Escar A. Houghton, son of George J. Houghton and Ida Jane Harper, in circa 1918 age 27 and 15. Alice Estelle Stearns married Dr. Ira Luther Houghton M. D., son of Ira Holden Houghton and Louise Luther Ringwalt, in Sep 4, 1923 at Baltimore, Baltimore Co., MD, USA, age 28 and 27.